It's the community's support and your efforts that make Holy Name School successful. There are many opportunities for raising funds and many resources and creative means for doing so. With the help and support of parents and the community, Holy Name School is able to help students reach their highest potential. We appreciate your interest and help with this important work. Students have opportunities to participate in fundraising, and in the process, learn valuable lessons about working for a good cause. The following is a list of resources for raising funds in addition to contributing direct donations. Our Harvest Festival is spectacular every year! One of the best aspects of the Harvest Festival is the community atmosphere that the festival affords us. Everyone is needed; everyone helps. The students, the faculty and staff, the parents, the parishioners, those who advertised in this year’s outstanding festival booklet, corporate angels, volunteers, those who headed committee subsections, bakers, cashiers, musicians, crafters, those who bought a variety of auction tickets and other items, friends, and neighbors from far and near, all made the day what it was—memorable and enjoyable. Thank you one and all! As another year approaches, we are currently accepting donations. For more information on what we are accepting, or if you are looking for ways to help, please view our Harvest Festival website. The Holy Name Parish Harvest Festival is a unique opportunity to bring together both the parish and school community. Planning begins many months prior to the festival date. Our planning committee members bring their knowledge, talents, experience, and so much enthusiasm to this event. Parents, parishioners, and staff of the Holy Name School community make up the committee. There are many areas associated with the festival, and we welcome all who would be willing to share their time and talents. The Harvest Festival is a memory-making event. The Holy Name School/Parish Harvest Festival has become the schools largest annual fundraising event. It always promises to be a fun-filled, family oriented, and community building day featuring many activities for children as well as adults. For example, the Harvest Festival includes an exciting Silent Auction and Penny Social. This consists of a room entirely filled with the most amazing offerings and prizes. This room has something for everyone! In the past we have offered such things as, American Doll Girls, golf packages, Red Sox tickets, Patriots tickets, Celtics tickets, signed sports memorabilia, theatre tickets, Regis and Kelly Live tickets, weekend ski getaways, concerts tickets, fine jewelry, art, and the most up-to-date electronics. You can help us earn cash by registering your Stop & Shop card online or calling (1.877) 275.2758 to register your card over the phone. Be sure to use our ID #05992 so that your purchases benefit Holy Name School. 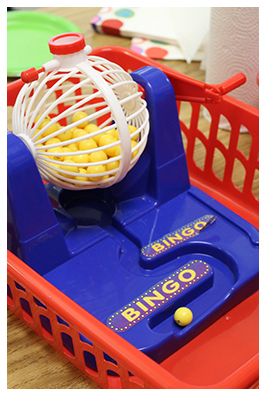 Each shopping trip at any Stop & Shop earns cash for our school when using your card. You can even track the amount of cash you help us earn when you check your grocery receipt or by creating an online account. Our school’s educational needs benefit from the proceeds we receive at the end of the school year. If you registered your card last year, you do not need to re-register this year for our school to receive credit. You can visit the website to verify correct school assignment. We invite you to encourage your friends and relatives to do the same. It could mean the world to our children. Earn cash for our school every time you shop for groceries. Clip Box Tops coupons from hundreds of products found at your local grocery store. Each coupon is worth 10 cents when we redeem them from General Mills. Last year we earned $435.42, and we hope to double that this year. There is the potential to earn thousands of dollars with this fundraiser. Some participating products: Cheerios, Wheaties, Chex, Total, Kix, Cinnamon Toast Crunch, Trix, Cocoa Puffs, Lucky Charms, Yoplait Go-Gurt, Pillsbury Rolls, Betty Crocker cake mixes and frosting, Bisquick, Progresso Soup, Old El Paso products, Gold Medal flour, and many more! Go to Box Tops for Education to see a complete list of participating products. Now you can earn money for TOPS when you shop online. 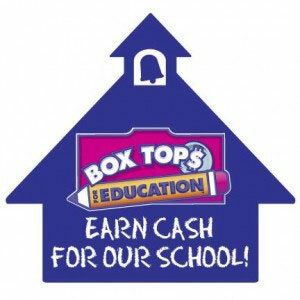 Register with Boxtops4education.com, and our school will earn up to 10% of your online purchases. Participating merchants include: Dell Computer, Lands End, Nordstrom, Eddie Bauer, Barnes & Noble, Office Depot, Expedia.com, Gap.com, and many many more. Remember to check out the Booster Club marketplace when you do your holiday shopping online this year! We are excited to introduce you to ScripZone, a wonderful new opportunity for Holy Name School. ScripZone is a gift card purchasing service with access to hundreds of retailers and service providers throughout our region, and it is a great way to shop while giving you the satisfaction of knowing that you are helping Holy Name School. Please read the ScripZone letter for full details. Please review the ScripZone instruction sheet for directions on how to enroll in and set up the program. 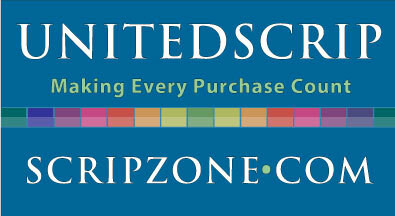 For retailer and gift card information, please review the ScripZone hands free program guide. Our group ID is HolyName. We will place orders through the school once a week as we get started and you should receive them in two to three days. This is not limited to a specific time, and is available all year. AmazonSmile is a website operated by Amazon with the same products, prices, and shopping features as Amazon.com. The difference is that when you shop on AmazonSmile, the AmazonSmile Foundation will donate 0.5% of the purchase price of eligible products to Holy Name School. How do I select Holy Name School as my charitable organization to support when shopping on AmazonSmile? 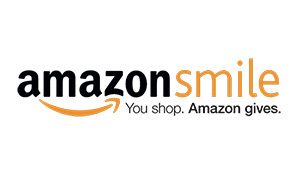 On your first visit to AmazonSmile, you need to select a charitable organization. Select Holy Name School Fall River to receive donations from eligible purchases before you begin shopping. We will remember your selection, and then every eligible purchase you make at AmazonSmile will result in a donation. Please visit the AmazonSmile website for more information about the AmazonSmile program.